One of the number one causes of female infertility is blocked fallopian tubes. Many women are wondering what they can do to improve their fallopian tube health so they can conceive naturally. Below are my notes from the live video recording I did where I address ways women can improve their fallopian tube health naturally. Download the Instagram App to watch our live broadcasts! There really are no outward signs that will let you know if you are suffering from blocked fallopian tubes. If you have ever suffered from pelvic inflammatory disease, there is, however, a very good chance that your tubes are blocked. Doctors estimate that at least three out of four women that have had a sexually transmitted disease do suffer from tubal blockage. The primary indicator that there is a blockage is an inability to conceive. Fortunately, there are medical tests that detect any abnormalities or blockages. An Hysterosalpingogram (HSG) is the most common test performed to determine if there is a blockage in the fallopian tubes. If there is evidence of some type of blockage to the tubes, further investigation is generally performed using a laparoscope, which will help the doctor actually see into the fallopian tubes. While there are some medical and surgical procedures for reopening the fallopian tubes, it is important to keep in mind that these procedures have the potential to cause additional scar tissue formation or further damage to the fallopian tubes. 1. 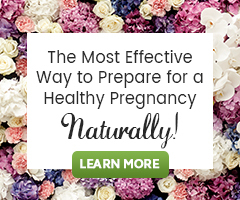 Fertility Cleansing – Fertility Cleansing is always a great first step in improving reproductive function. The herbs involved in fertility cleansing focus on improving hormonal balance, increasing circulation and natural detoxification of the female reproductive organs. 2. Systemic Enzyme Therapy – Enzymes are biological molecules that catalyze (increase the rate of) chemical reactions. Systemic Enzymes have specific actions on the body, they have been shown to reduce inflammation, support immune system function and enhance the body’s ability to break down scar tissue. 3. Abdominal or Fertility Massage – Massage is another natural therapy that could help support fallopian tube health. Massage helps to increase circulation and break up adhesions. Massage provides a great non-intrusive option for women with blocked fallopian tubes. There are four options for massage when it comes to supporting fallopian tube health. You can find a massage therapist who specializes in abdominal massage (or better yet visit Clear Passages for specialized fallopian tube treatment), book a consultation with a Mercier Therapy or Mayan Abdominal Practitioner, or you can learn how to apply Self Fertility Massage at home. 4. Castor Oil Therapy – Wherever a castor oil pack is applied it helps to soften and loosen the underlying tissues. Castor Oil also increases circulation and enhances detoxification of the internal organs and tissues. Antibiotic: Herbs with this action help to clear out any infection that may exist in the reproductive system or fallopian tubes. Examples of herbs that have an antibiotic action are: Goldenseal root (Hydrastis canadensis) and Oregon Grape root (Mahonia spp.). Anti-inflammatory: Anti-inflammatory herbs help to reduce inflammation, which in turn reduces pain and works to reduce further scar tissue production. Examples of herbs that have anti-inflammatory properties are Turmeric root (Curcuma longa) and Dong Quai root (Angelica sinensis). Circulatory: There are herbs that help to increase blood flow through the reproductive organs. Healthy circulation to the reproductive organs is vital to healing the fallopian tubes. Herbs that have been shown to increase circulation are: Ginger root (Zingiber officinalis) and Hawthorn berry (Crataegus officinale). Hormone Balancing: Remember that hormonal balance is essential for proper fallopian tube function. When working to support fallopian tube health, we always want to include some herbs that support hormonal balance. Some herbs that support hormonal balance are: White Peony root (Paeonia officinalis) and Wild Yam root (Dioscorea villosa). Fertility Q&A – Are There Natural Remedies to Unblock Fallopian Tubes? *Disclaimer: When working with natural therapies there are no guarantees of success. We work to help the body heal itself, but sometimes a health issue can be so great, medical intervention may be necessary. Would love if you posted tips on natural healing for cervical adhesions/scarring. Thank you!! Thank you for the suggestion EWM! It may be worth learning about Systemic Enzyme Therapy and the work of Clear Passages.